Love flowers...? 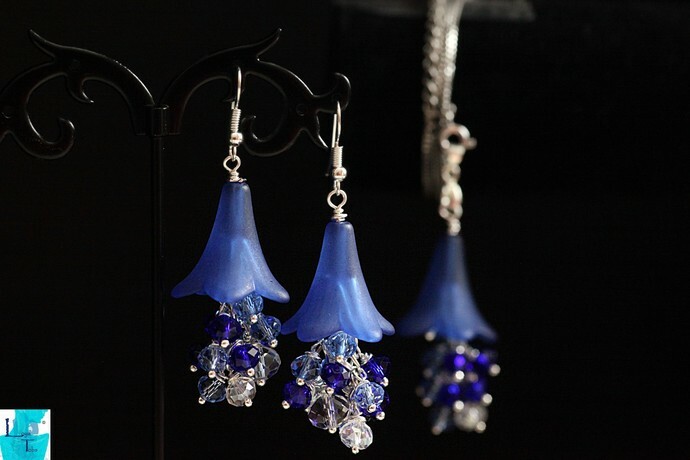 This set with the lovely frosted bead cap and the multi-coloured bead dangle remind me of the Blue bell flower. This set is very pretty, unusual and fun to wear! * Large blue frosted Lucite trumpet bead caps. 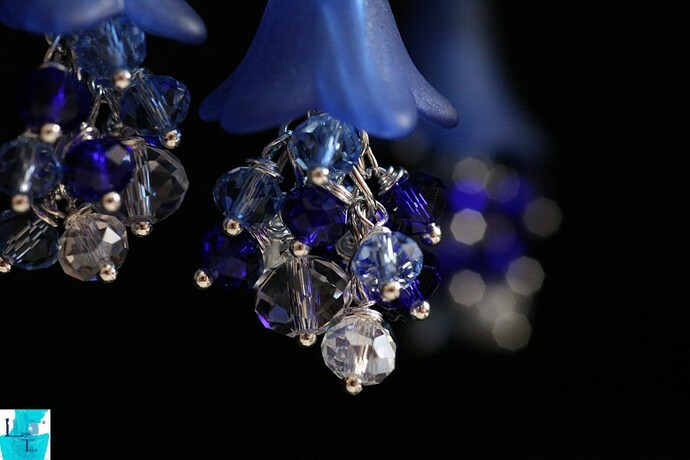 * Transparent and blue 6mm and 8mm crystal beads as the dangle. * Silver plated ear wires with ball and coil. * Earrings are 2 inches in length from bottom of ear wire. Made in the U>K by Loyatobs Creations.